MADANG FC have an eye on the National Soccer League and the other on preparations for the OFC Champions League next month. Securing the second spot on the NSL ladder after two wins in two games at home, the Mauri Wasi-coached side seems to have made a few exceptional recruitments this season. PNG Kapuls skipper Michael Foster was one such player the Madang side has on board for 2018. The inclusion of the 32-year-old has given the franchise sufficient confidence for their NSL and Champions League campaign. “Having Michael around has made a difference. A lot of players look up to him and that’s important for us as a team,” Wasi, the former PNG international, said. Other recruits include 22-year-old defender Abel Redenut, who adds capacity to the back line and goal keeper Charles Lepani. Talk about Madang signing New Zealand-based PNG internationals like Tommy Semmy, Patrick Aisa and Ronald Bala are ongoing at the moment. They will surely add depth to the side in their second involvement in the Champions League. “We are still having talks about having these overseas-based players join us and it will boost our side in terms of experience,” Wasi added. Madang is slotted in Pool C of the OFC event which will be held in New Zealand from Feb 24 to March 4. Madang takes on eight-time regional champions and hosts Auckland City, Lautoka FC and AS Venus. 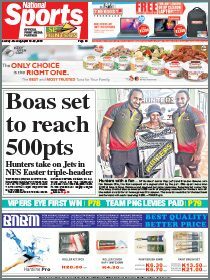 Meanwhile, the top-of-the-table NSL clash on Saturday will see Madang FC travel down to Lae to face-off with defending champions Toti City FC. The heavyweights in the capital of Morobe boast PNG internationals Raymond Gunemba, Nigel Dabinyaba, Emmanuel Simon, Jacob Sabua, Obert Bika, Ronald Warisan and Solomon Islands internationals Tutizama Tanito and Andrew Rarangia. 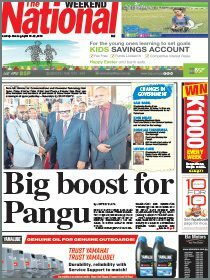 Madang will be banking on Foster, Redenut and Lepani along with regulars Emmanuel Airem, Stahl Gubag, Papalau Awele and veteran Neil Hans to step up to the challenge. “We have already started preparing for this weekend so we are expecting a very competitive match up,” Wasi added. NSL standings: 1. Toti City FC (6pts), 2. Madang FC (6 pts), 3. Besta PNG United (3pts), 4. FC Morobe Wawens (0), 5. FC Momase (0), 6. Southern Strikers (0), 7. Buang FC (0).